As parents, we spend a lot of time advocating for our children when they are young. However, there comes a time when our children become older and they have to learn how to advocate for themselves; knowing when the time is right will depend on your child. If your child is still attending elementary school, they are most likely NOT mature enough to participate. For those of you who have children in middle school, now is the time to think about the prospect of someday having your child attend their own IEP meeting. When you and your child have come to the conclusion that they are ready to participate in their IEP meeting, then by all means, bring them in! When they first attend, it’s not necessary to bring them in for the entire meeting. It’s important to make them feel comfortable, and let them know that the team is there to help them in school. The purpose of the IEP is not to discipline your child but to encourage them to become an integral part of some of the decisions pertaining to their IEP. When you have finished discussing whatever you needed with the school, then bring your child in to participate. It’s important to make it a positive experience so they are not afraid to participate. It can be frightening for a pre-teen or teenager to walk into a room by themselves with ten adults staring at them. 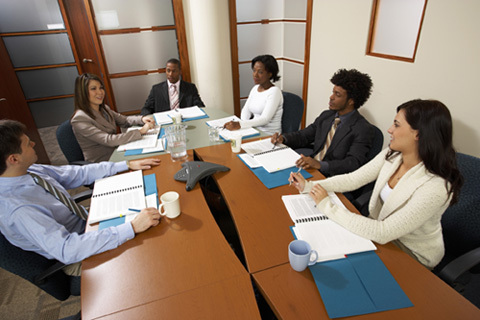 A good time to bring them into the meeting is when you are reviewing the goals and accommodation sections of their IEP. When your child enters the room, everyone should let him/her know how important is for them to be a part of the IEP meeting. When the meeting is finished, your child should receive praise for participating so that they are encourage to attend in the future. When it’s time to discuss the goals and accommodations, it’s important for your child to know that everyone is aware of their areas of need; their input on how to provide to assistance in school is crucial to their education. The goal is for your child to verbalize what methods help them in school and which ones do not. This is the beginning of self advocacy. As I stated earlier, the age or grade at which a child is ready to participate will depend a lot on maturity. Some kids will be ready in 6th grade, or maybe not until 7th or 8th grade. My son’s IEP is next week and he told me he wasn’t ready to attend. I told him maybe next year; if not, it’ll be 8th grade. I say 8th grade because that will be his transition IEP before high school, and I would like him to become comfortable advocating for himself before beginning high school. This brings me to my next point: high school! For those of you who are not aware, before your child’s 16th birthday, a Transition Plan must be in place. It should be based on your child’s needs, strengths, preferences and interests. Transition services needed to assist your child to acheive post-school outcomes. In order to accomplish this, your child must attend the IEP meeting. In addition to that, when your child reaches the age of majority, they will have the authority to sign their own IEP’s (which is most commonly your child’s 18th birthday, but depends on state law). It is a scary thought that someday our children will no longer need or want us to advocate for them; which is why it is so important for our children to learn how to advocate for themselves. If they can begin to learn how to do this at an early age, then hopefully it will prepare them to continue in high school and beyond.